Here’s a scenario: All the while you have been enjoying pizza from takeaway and dine-in restaurants. Then one day, you decide to make your own pizza at home for a change. With free-to-access info on the internet like YouTube channel and food websites, there are numerous step-by-step recipes of homemade pizza you can choose to learn from. But the thing is, making your own pizza at home can be a daunting task for some people. This is especially true if the pizza-making process involving the likes of kneading and stretching dough sounds too much work for you. Fortunately, you can always opt for the easy way out by following this simple homemade pizza recipe using sliced white bread. Sure, the base itself doesn’t exactly sound like a real pizza but this is at least the closest thing to a homemade version. And best of all, it requires no kneading, stretching and shaping pizza dough whatsoever! 1) First up, you need a loaf of white bread. It can be any brand of your choice. 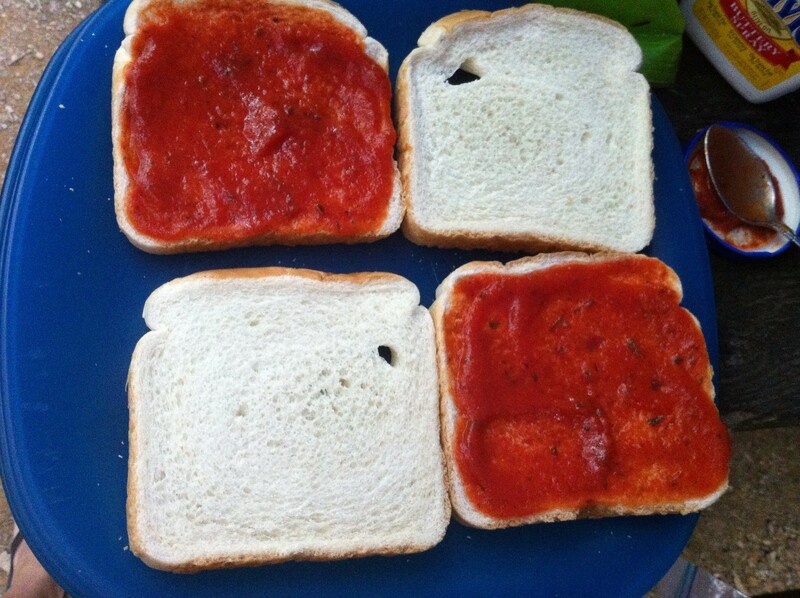 2) Grab a can or jar of ready-made pasta sauce or tomato sauce and spread them evenly on the bread slices. 3) Next, add cheese (e.g. cheddar, parmesan and/or mozzarella) and other toppings like sliced ham, sausages, chopped red onions and vegetables. The good thing about making your own pizza at home is that you have the freedom to add any favourite toppings of your choice. So, feel free to experiment! 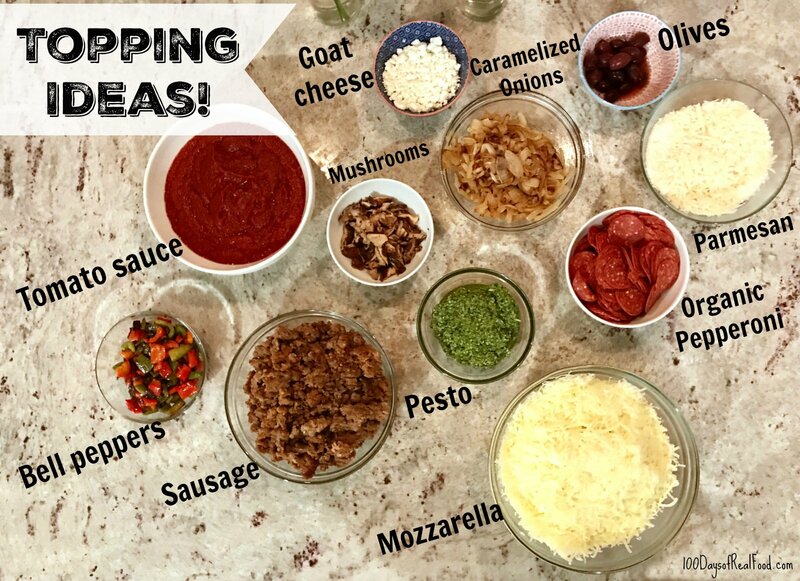 But if you prefer to play safe, here are some of the popular pizza toppings you can add: mushrooms, bell peppers (green, red and/or yellow), sliced pineapples, BBQ sauce, black olives, chicken/beef pepperoni and bacon. 4) Sprinkle some seasonings to help elevate the flavour of your pizza bread. 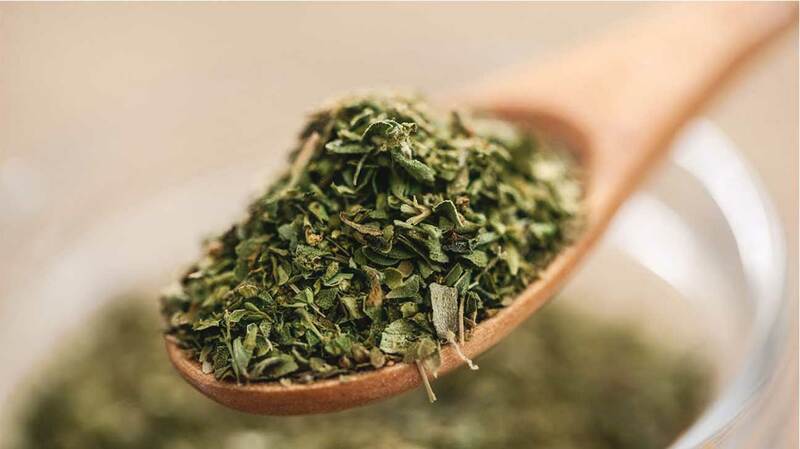 In case you are doubtful of the type of seasonings you should be using, here are some of the classic examples of pizza seasonings: oregano, basil, thyme and garlic powder. You can easily purchase those seasonings in most supermarkets, where they are typically sold in a dried form packaged in spice jars or small containers. 5) Place them on a baking tray and into the oven or microwave set at 200°C. Allow them to cook for at least 10 to 15 minutes or until the cheese has melted and the bread turns into golden brown. 6) Finally, remove the tray from the oven/microwave and leave it cool for a few minutes before serving. 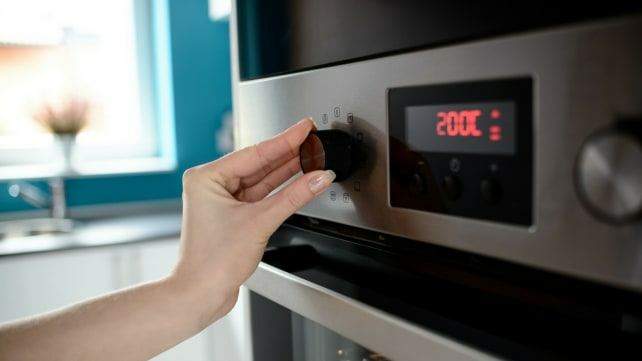 7) But what if you do not own an oven or microwave at home? Not to worry, though since you are still able to make homemade pizza by using a frying pan. All you have to do is simply place the sliced bread on the pan under low-to-medium heat. Remember to coat your pan with some cooking oil or knobs of butter. Once you see the bottom of the bread turning golden brown, flip it and repeat the same process. This follows by spreading the pizza/tomato sauce evenly on each bread slice and add cheese as well as your favourite toppings. Do not forget to cover your pan with a lid and let the cheese melt. And that’s it, transfer your pizza bread on the plate and let it cool for a while prior to serving. Bon appétit!